Bulk SMS Malaysia | Import Sub Account via Microsoft Excel - lowest price & most reliable Bulk SMS marketing tool, 2 way sms Malaysia, works with Bulk SMS Singapore, online sms solution, web sms marketing. Firstly, you have to log in and go to "Profile". The menu subtabs will display as below, click on "Import Sub Account" to continue. If the you have Microsoft excel can use it. Otherwise you can use OpenOffice, OpenOffice Calc. The first row is used to put in value e.g column A is Username, column B is Password, column C is email, column D is daily limit, column E is monthly limit and column F is message control. For these limit and control function, please refer to add sub account page. Below is the sample in Microsoft Excel. Save the entries as .csv file as shown in the steps below. You can click on "file", then click on "save as". 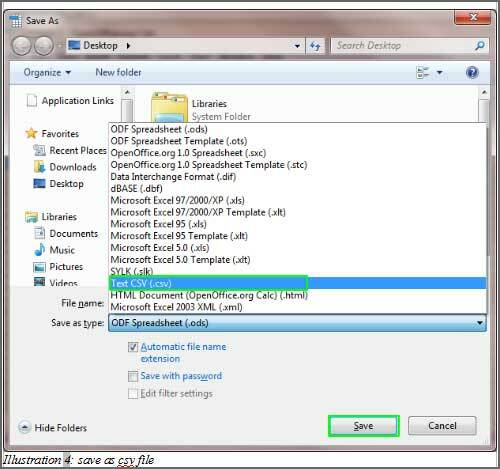 Follow the step below to save the file as csv file. 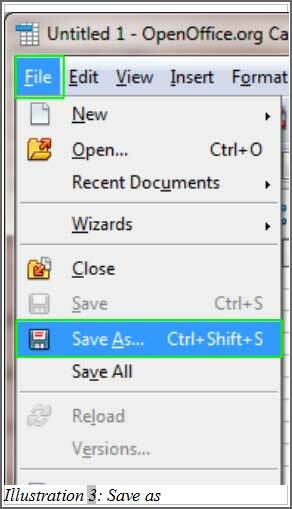 After clicking on "Save as", a windows will pop up and you can select the Text CSV(.csv) file extension, followed by clicking on "Save". After you have created the file, upload it by following steps as below. After submitting, system will prompt a message "File was successfully uploaded.". Lastly, check the sub account by clicking on "Profile" then click on "Edit Sub Account" to check the sub account. Done. You will see the sub accounts listed below.